You have a little kitty? In your power to ease toddler separation from the mother cat and help quickly get used to the new house. For a start, give the new member of the family to look around. If the family has children - explain to them that the first time the kid not to worry, let him get used to it, because for him the move to a new home - a real stress. Once the kitten a little look around, show him the place where will be feeding. The best option, if you ask the owners of the cats than they are to lure kids and offer him the same food. It will help to adapt quickly, and will not cause stomach upset baby due to sudden change of food. Next to the platter of food must be bowl with fresh water. It is best to give the kitten filtered water, as in wet from the tap contains many harmful chlorine. In the first few days the kitten can become anxious, "cry", look for the Mama cat. Often take him in my arms, caress, talk to the baby tender voice. Kitten to sleep better at night, for the first time to put him in the house a rag, smelling the parent nest. 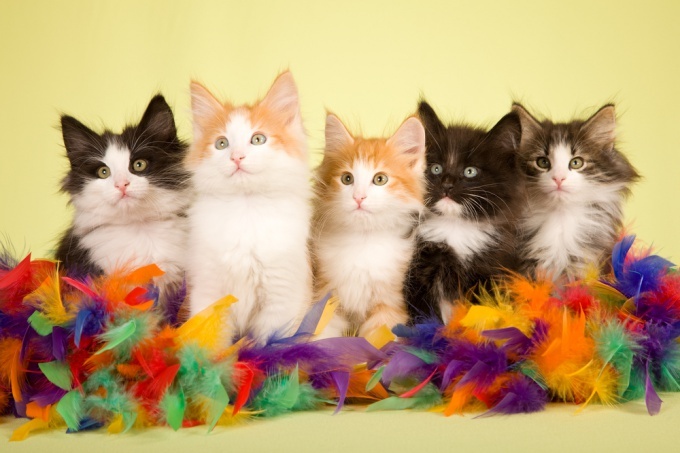 For this advance ask the owners of cats to hold a rag there, where there lived a mother cat with babies. Feeling the smell of home, your kitten will calm down. Stock up in advance all the necessary tools to care for a kitten. Special food for babies up to a year, bowls of food and water, litter box, litter, a comb for long hair. Find out in advance from the owners of cats, how they use the filler for the toilet. By purchasing same, you will facilitate the process of teaching your baby to their own toilet. If you have other animals, ensure that "senior" was not scared and did not offend the small. Even if at first your animals are not found a common language - do not worry. With patience, affection and equal attention to your Pets be sure to make friends! Often happen in our lives are situations where you need to go in a car journey, taking with him the cat. It may be a trip to the country, meeting with friends, visiting family. If the animal is not accustomed to the car since childhood, this upcoming trip is a huge stress. 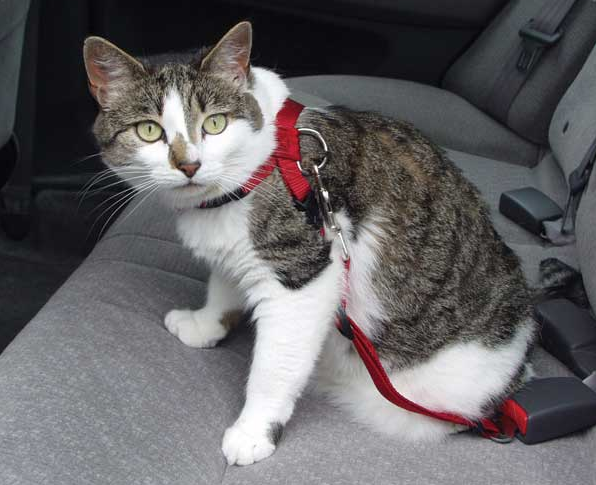 In order to transport a cat in the car, its owner must do everything in order to make life easier for your pet during the trip. Before you travel make sure that your cat is healthy, because in a stressful situation, a painful condition of the animal can only get worse. Be sure to take care of that before the trip, the cat went to the toilet. Just in case, put on her special diaper for animals, which can be purchased at any pet store or veterinary pharmacy. Before you travel, do not feed the animal too tight. Make the journey comfortable for the cat. If the car is stuffy, open the Windows or turn on air conditioning so that the animal could breathe fresh air. Don't forget to bring in the way of clean drinking water for cats. Do not turn the music too loud, don't sing and don't talk with other passengers of the car in a raised voice in the presence of a cat. Make sure that the animal is not distracted from the road, the driver of the car. Ideally, transport the cat to the car should be in a special container or bag-carriage. If this device you do not have got constantly monitor the behavior of the pet during the whole trip. During car travel most try to talk to the cat with gentle calm voice. In any case, do not scold and do not yell at her, otherwise you may scare the animal. Let the cat snuggle up to you, of course, if you are driving to bury your nose. Take a trip to something that will remind the cat of the house, for example, her favorite toy. Not the fact that the animal is going to play her during travel, but the smell of home will certainly affect the pet is soothing. If you are too much worried about how to take your cat ride in the car, give her a special sedative for animals, the choice of which entrust the doctor-veterinarian.